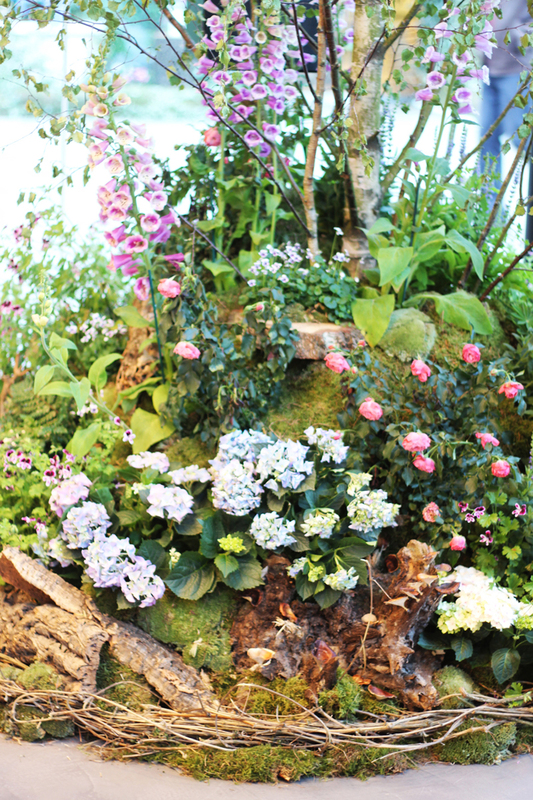 A fairy tale tribute to the Chelsea Flower Show with the most imaginative and magical displays of blossoms and branches. 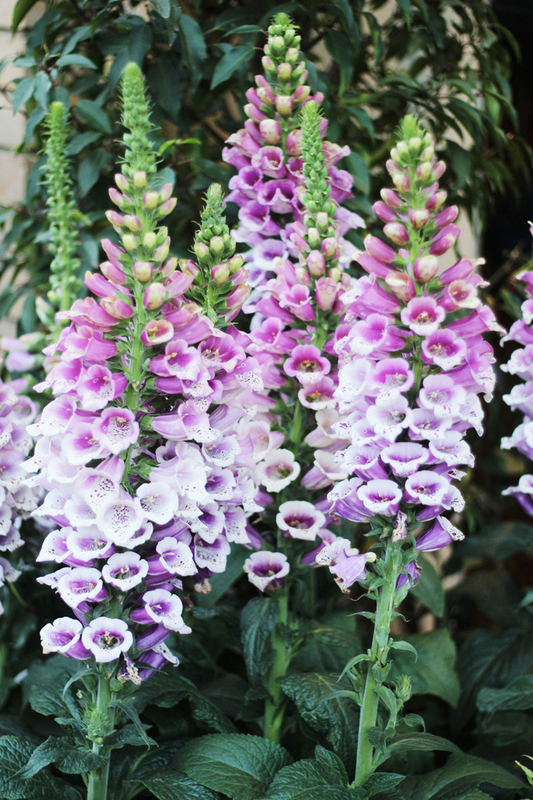 Hayfever be damned - yesterday, I loaded up on the antihistamines and headed from Shoreditch to Sloane Square where I met Luxy at The Botanist pop-up champagne bar. We crossed over to the ‘Fairy Tale forest’ installation on Sloane Square (eschewing the complimentary rickshaw rides to see the Chelsea In Bloom displays - I usually prefer to be chauffeured but on this occasion I wanted to 'branch out', haha). 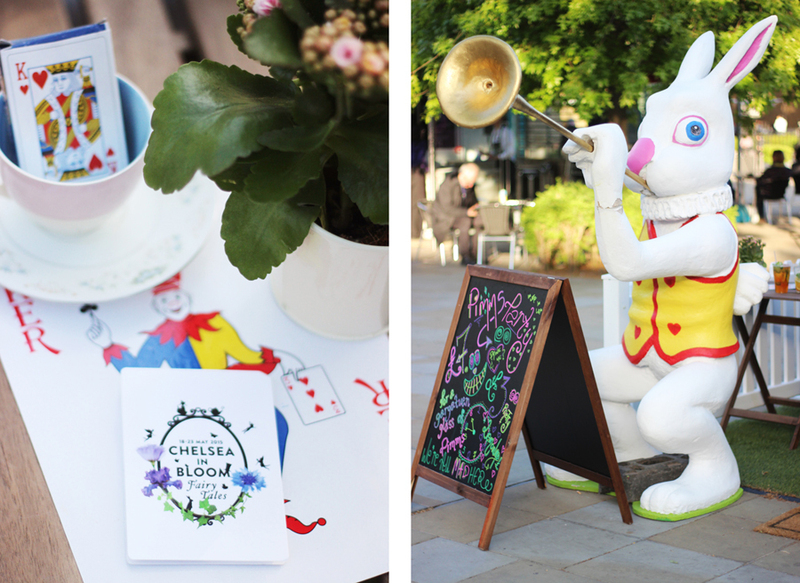 We headed to nearby Duke of York Square for Pimms ‘Mad Hatter’s Tea Party’ where I had the pleasure to finally meet the lovely Angie of Silverspoon London while the most wonderfully in-character Queen Of Hearts offered us elderflower cocktails from the giant red teapot. 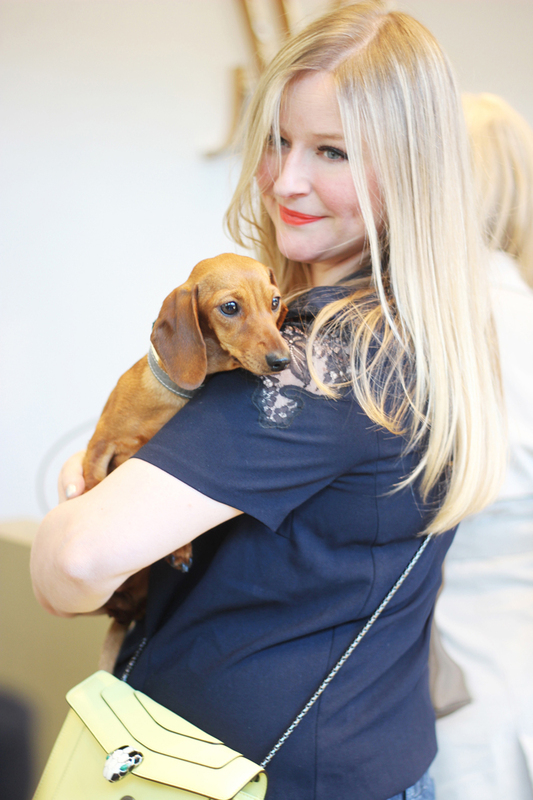 Afterward, Luxy and I nipped into Monica Vinader for their champagne cocktail party hosted by Sasha of Liberty London Girl where we met the lovely lady behind the blog and her painfully adorable Lettice the miniature daschund. All in all, a bloomin' marvellous evening thanks to Chelsea In Bloom. 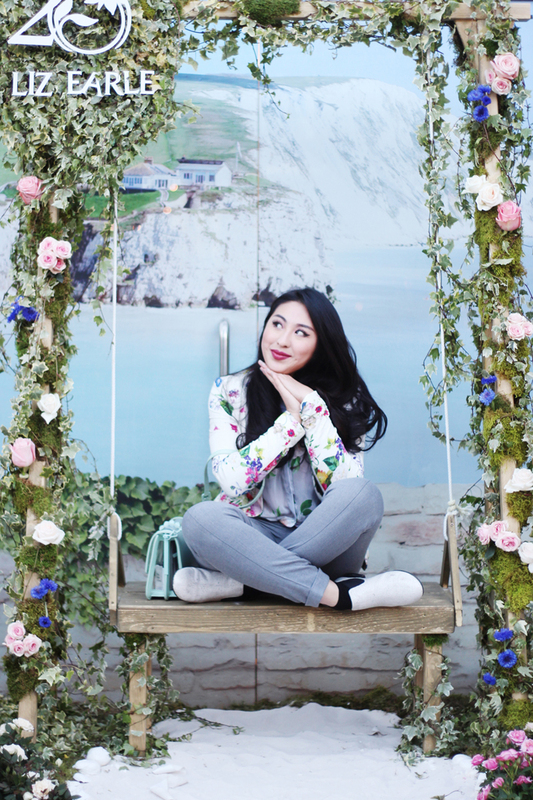 Dressed for the occasion in a Zara floral blazer with my 'Valentino-dupe' satchel from Charles & Keith. 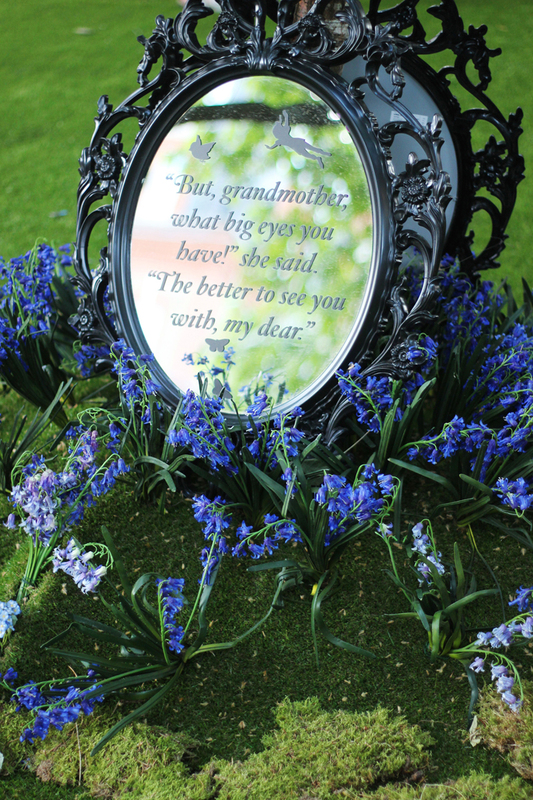 Monica Vinader's floral display by Nikki Tibbles of Wild At Heart, whose installation for Kate Spade won Chelsea In Bloom 2014. A rainbow of 'grown up' friendship bracelets by Monica Vinader. My favourite colour, mint, represents tranquility - something I desperately need more of in my life! Sasha of Liberty London Girl - she's lived in Malaysia, my homeland, and we had a little chat about Malaysias gastronomical delights (of which there are many, so it was quite a chat!) - and #LovelyLettice. *and also for not setting off my allergies. I'm glad that all the contingency tissues in my purse went unused. Wow this looks like such a cool event! And you seriously wore the perfect outfit. You look great! Love that pictures of you on the swing! I wish I was a bit more photogenic sometimes! Oh, and the friendship bracelets look ace! Suze! I also had some floral Zara trousers I wanted to wear that evening but couldn't fit into (oh woe). So, so lovely to finally meet you and what a fun night!! 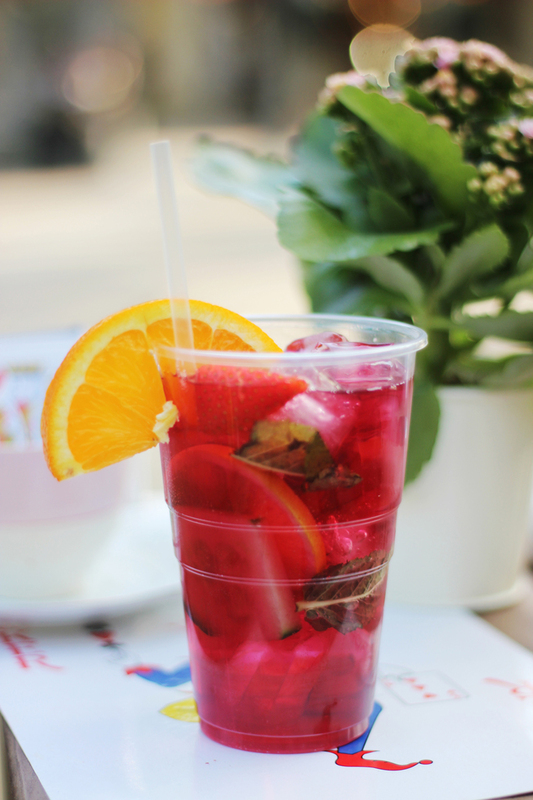 I loved our little evening drinking pimms and photographing flowers! See you Monday for our blogger picnic! :) And we'll have to go to Polpo for dinner soon to make up for our lack of dinner on Thursday! !